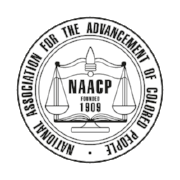 On Thursday, August 9, 2018, the NC NAACP will conduct a Voters Rights and Election Protection Training from the North Carolina Central University School of Law in Durham. This very important training will focus on an understanding of the necessity of mobilizing our membership and partners for the November 2018 elections, strategies to address the six constitutional amendments, registration and voting protections and procedures for Early Voting and Election Protection efforts. This training will be conducted from Room 102 of the NCCU School of Law from 6:00 p.m. until 9:00 p.m. The training will also be available via ZOOM which allows individuals to participate in the training through their computer at home or at a central location. Information to allow the ZOOM connection will be made available to those who sign up to utilize this technology. Those who plan to attend the training in person or by ZOOM should register by emailing their name, branch, email address and committee affiliation to ijoyner@nccu.edu ASAP. Forward Together Not One Step Back!